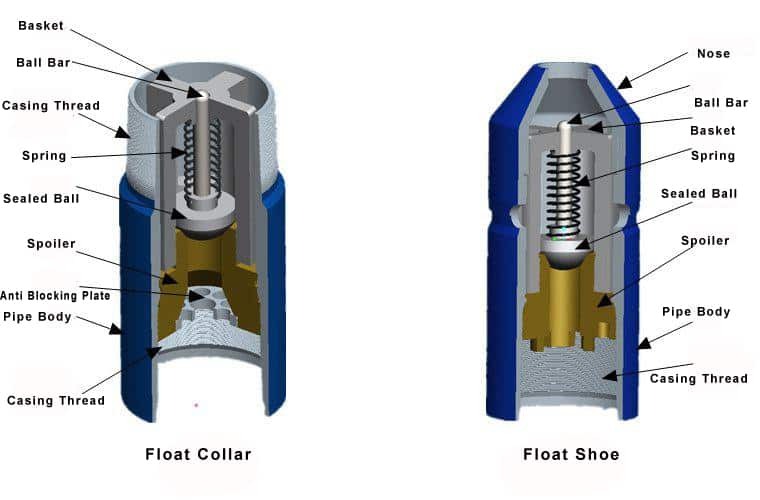 Float shoes contain a backpressure valve that prevents fluids from entering the casing while the pipe is lowered into the hole and prevents cement from flowing back into the casing after placement, while enabling circulation down through the casing. Float collars are placed one to three joints above the guide shoe or float shoe. They provide a seat for the cement plugs, the bottom plug pumped ahead of the cement and the top plug behind the full volume of slurry. Once seated, the top plug shuts off fluid flow and prevents over-displacement of the cement. The space between the float shoe and the float collar provides a containment area to entrap the likely-contaminated fluids from the wiping action of the top cementing plug, securing the contaminated fluid away from the shoe where a strong cement bond is of primary importance. Float collars include a backpressure valve and serve basically the same function as the float shoe. 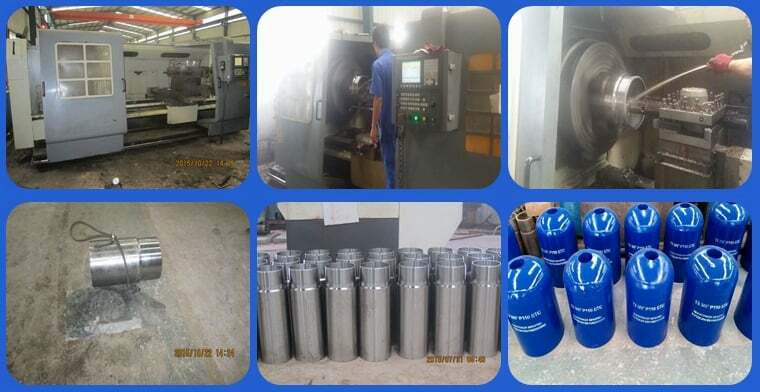 The Aluminum Alloys used in this product are PDC Drillable. Available in 5 1/2” to 20” sizes. Customized sizes are also available. Applications:In all applications ranging from close tolerance liners to full casing strings. Standard float shoe is provided with round cement nose to deflect offledges or obstructions. Customizable options including nose types, ports/jets, and ball deflector. Can be supplied either in Single Valve or in Double valve.